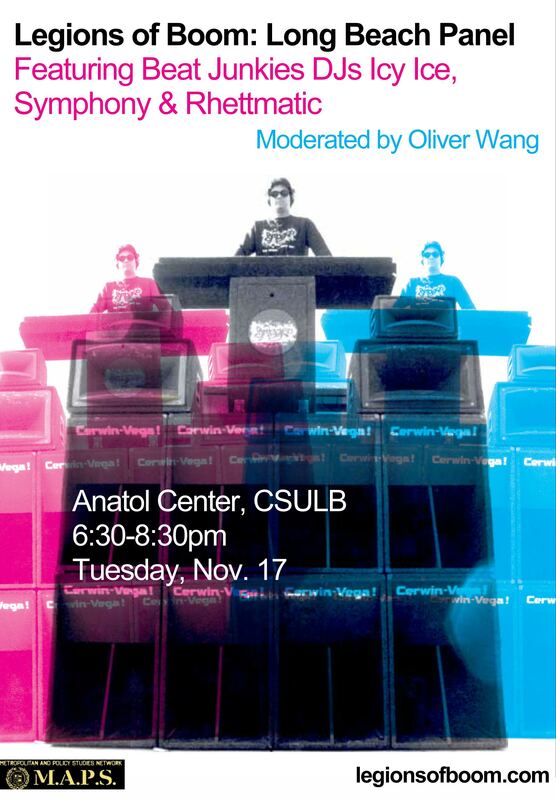 Tonight (Tuesday November 17), Rhettmatic, Dj Icy Ice & a rare appearance by Dj Symphony will be at the “Legions Of Boom” LA panel with College Professor & Author, Oliver Wang. All happening at Cal State Long Beach from 6:30-8:30pm at the Anatol Center. It’s FREE to the public. They will be talking about the history of Filipino American Mobile DJs in Southern California. For more info: www.legionsofboom.com.